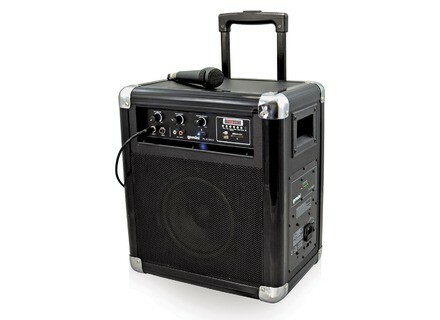 PLAY2GO, Portable PA Speaker Cabinet from Gemini DJ. Gemini DJ will showcase at NAMM 2013 until sunday the PLAY2GO powered 2-way speaker system with a built-in USB/SD/Bluetooth MP3 player. 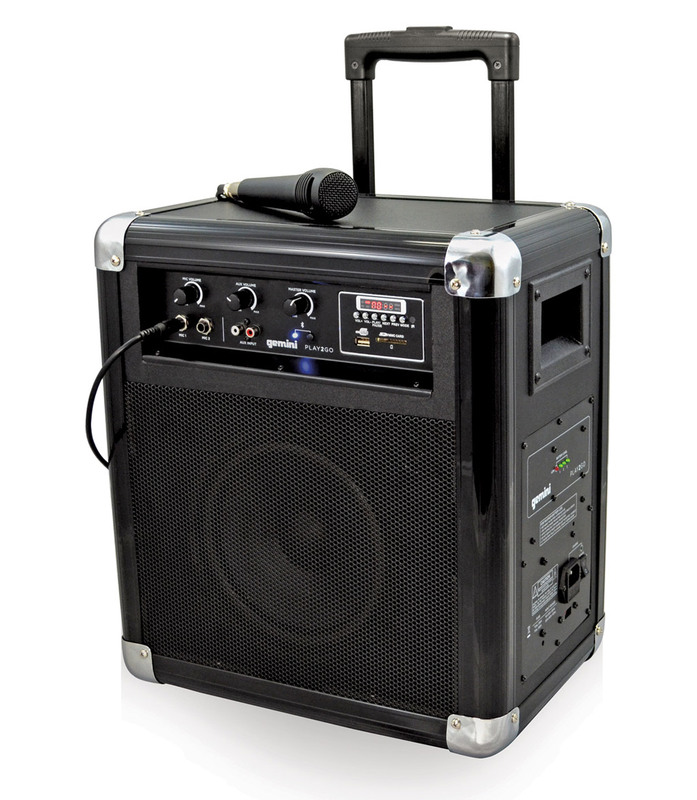 The PLAY2GO portable PA and MP3 player is designed for being used in small events or venues needing a sound system simple to setup and tear down. Roll the PLAY2GO in on its 2 wheels by the retractable handle, flip the on switch, and it will run off its rechargeable battery for over 12 hours. The PLAY2GO allows for playing tracks wirelessly from a mobile phone through the Bluetooth enabled MP3 player or connecting to one of the microphone inputs with the included dynamic microphone. With 50 watts of power the PLAY2GO will project sound upwards of 150 ft.
More information soon on geminiproaudio.com.